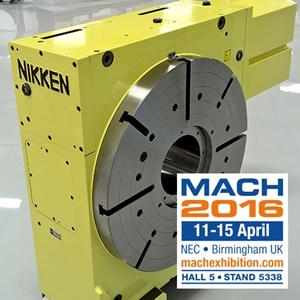 NIKKEN Kosakusho Europe Ltd. are once again exhibiting at MACH – the UK’s Premier Manufacturing Technologies event. 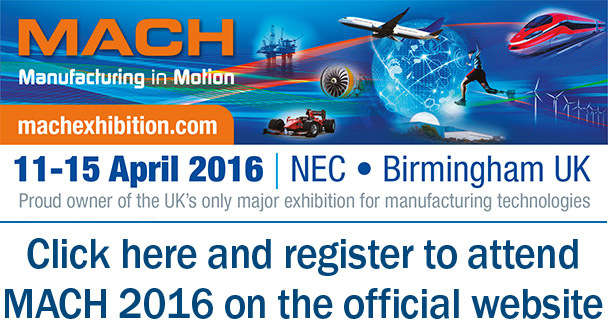 With an array of new and innovative technologies being showcased, MACH 2016 promises to be a great event for NIKKEN, building on the recent opening of their brand new NIKKEN Innovation Centre Europe (NICe) on the Advanced Manufacturing Park. With products ranging from the new eMAC digital boring system and ultra-heavy-duty CNC rotary tables to the latest in the range of precision tool Presetters boasting Tool Identification software and machine tool library integration. There will be a number of solutions that will appeal to companies looking to squeeze their budgets and maximise the productivity of their existing Machine tool capabilities. NIKKEN Are right in the middle of Hall 5 on stand 5338, why not register to visit MACH by clicking on the image below and telling us what day we are likely to see you! If you have already registered for MACH and are planning on visiting the NIKKEN stand please click here and send us a quick email to register your interest, we look forward to welcoming you on your visit to the show.